February 3, 2016 — Philadelphia, PA – The Sundance Film Festival, a program of the Sundance Institute, is an internationally recognized celebration of the best in independent film and theatre. The festival occurs each year in Park City, UT; this year it was held from January 21st to the 31st. 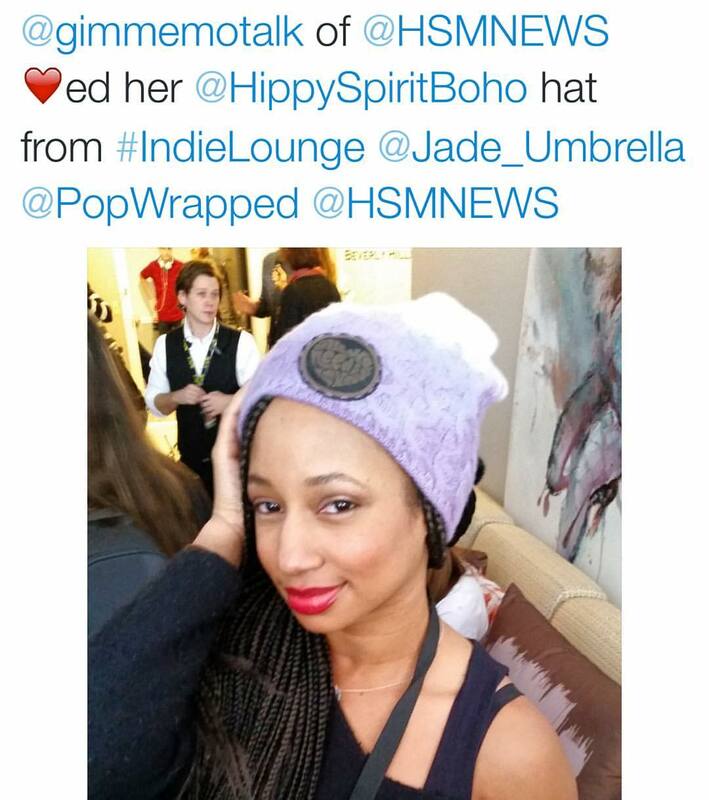 Attended by close to 50,000 film lovers from all over the world, during the rugged Utah winter, j2 Communications felt it was an ideal opportunity to promote Hippy Spirit’s line of chic, winter beanies. To accomplish this goal for the brand, they secured a partnership with the media agencies hosting the Independent Filmmaker’s Lounge. The Independent Filmmaker’s lounge, in existence for its 6th year at Sundance is presented by Power & Industry, the creators of the Flip Men series on Spike TV. The lounge has become a top respite for high profile actors and filmmakers and features gourmet catered food, top shelf libations, live music and gifting. 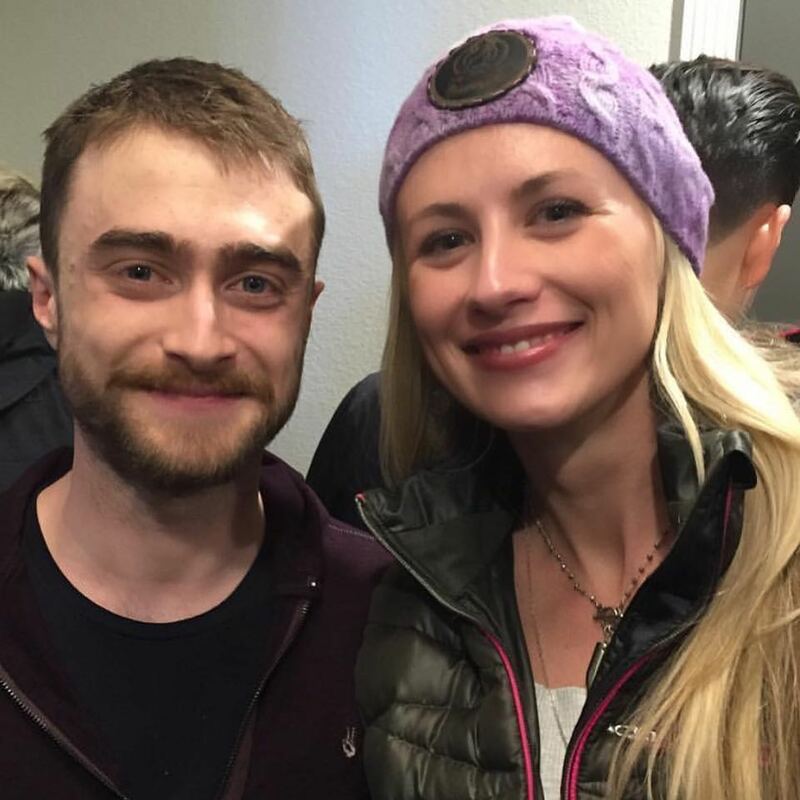 Daniel Radcliffe, who played Harry Potter in the early 21st century, internationally acclaimed film series is pictured here with jewelry designer Jessica Bolda in her Hippy Spirit tie-dye, cashmere beanie. 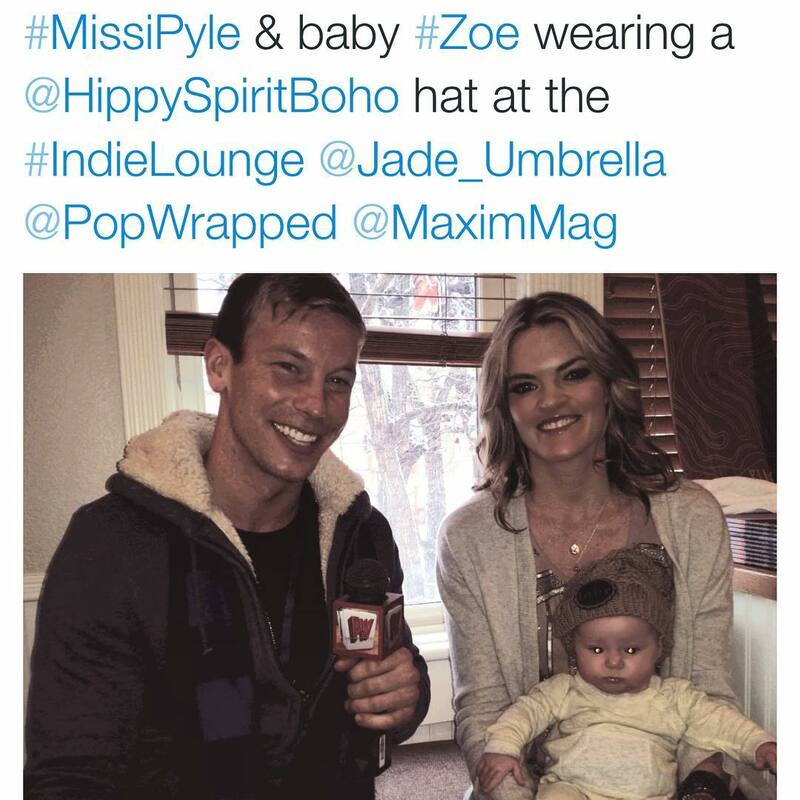 National TV and Film actress Missi Pyle with her baby Zoe in a Hippy Spirit, European cable-knit beanie. Hippy Spirit was created in 2014 by Philadelphia based, Interior Decorator Susan Tessler. Being a self-proclaimed accessories junkie, Susan was looking for the perfect street style in the form of a Bohemian chic beanie. After not being able to find one that she loved, she designed one herself. As soon as she ventured out and about in her new beanie, she was stopped everywhere by people asking: Where can I purchase the same style? She immediately started taking orders and Hippy Spirit bohemian-chic headwear was born. Hippy Spirit headwear comes in a variety of colors, style and fabric choices — including luxe cashmere and cable-knits crafted from European quality, acrylic yarn. Each piece is separately adorned with a leather patch displaying inspirational words or images. The various leather patches are intended to add to the personalized experience cherished by every Hippy Spirit customer. These bohemian-chic hats that keep you warm and encourage you to express yourself can be found on a variety of social channels including Facebook, Instagram and Twitter. Visit Hippy Spirit online for more detailed information or to purchase your own hat. Hippy Spirit donates 5% off all sales each month to Peace For Puppies, an organization which supports shelters and rescue efforts that end the suffering of abandoned and abused dogs.